A big Hello and update! As it's been ages since I've blogged I thought I should update you on my whereabouts! I see my page is still being viewed, for which I am eternally grateful and I can only apologise for not posting sooner. 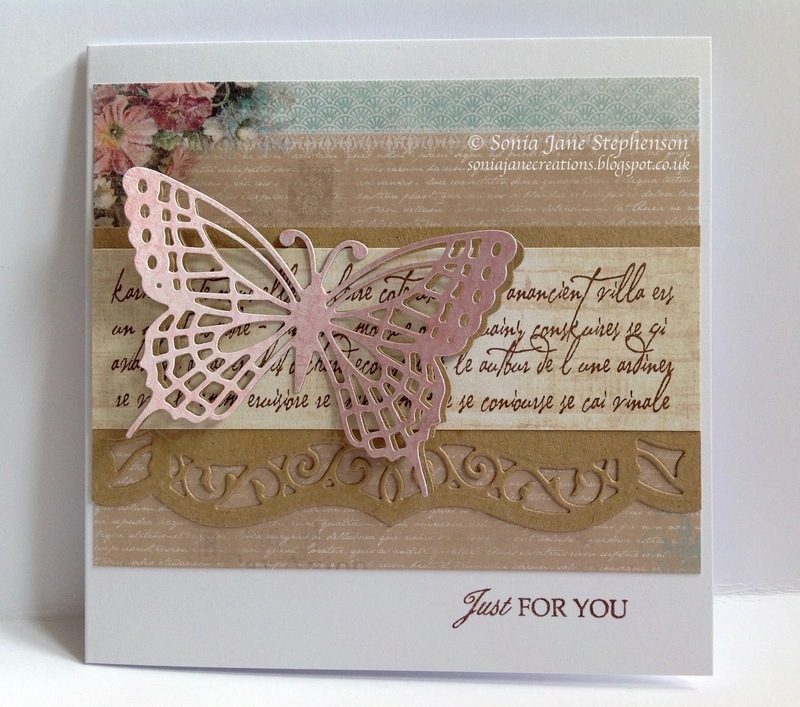 My crafting mojo has been awol for a long time now and although I did briefly get back in to card making, my heart really wasn't in it! I still regularly browse Pinterest and other crafty blogs and think that I could have a play, yet family time and work keeps me busy and I never find the time. I am now in the unfortunate position of having broken my wrist after slipping on the ice the other day. With my arm in a cast for 6-8 weeks any chance of doing anything crafty has gone right out of the window. 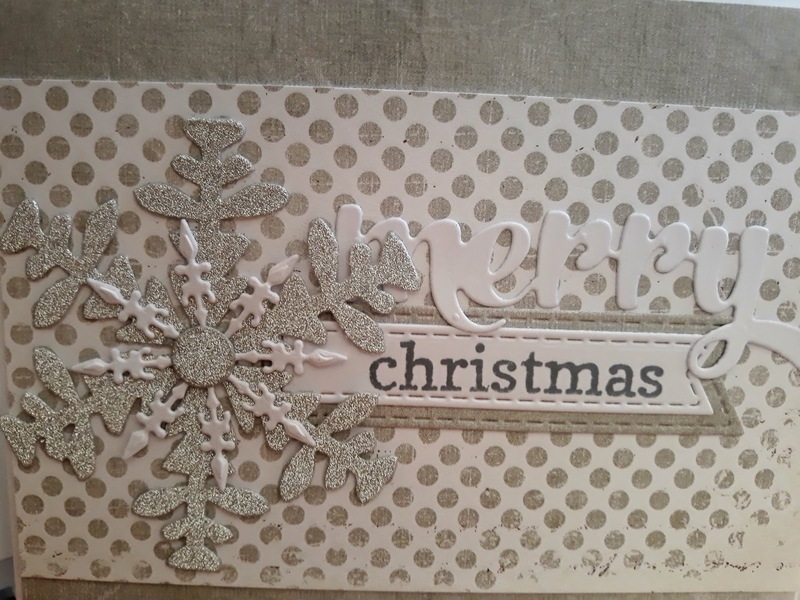 I did manage to make a couple of Christmas cards a few months back, which I shall share a picture of one of them below. Please excuse the picture quality. Its not easy taking photos with one hand and when you're not left handed, lol. Anyways, I'm hoping that the New Year will see me able to get back to it - once I've had my cast removed. Hi. 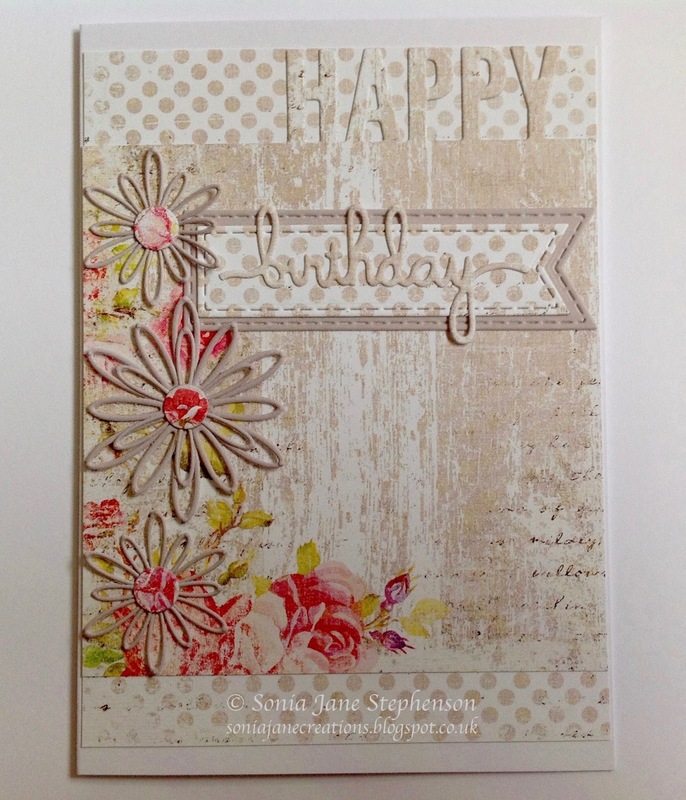 I would like to share another couple of cards I made using the Blissful papers. 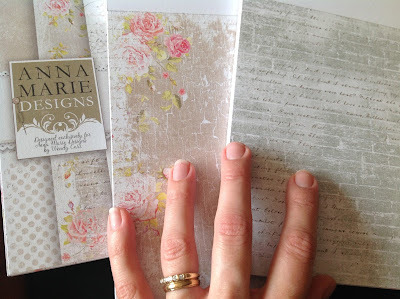 As you can probably tell I absolutely love these gorgeous papers. 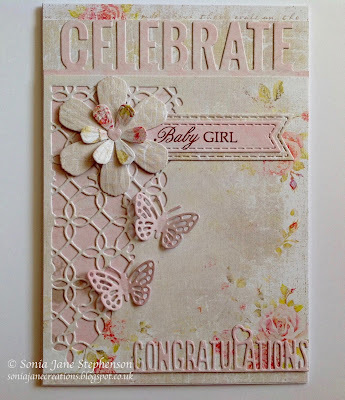 I made a Baby Girl card for new Grandparents and a Birthday card. Hope you like them. Hi. 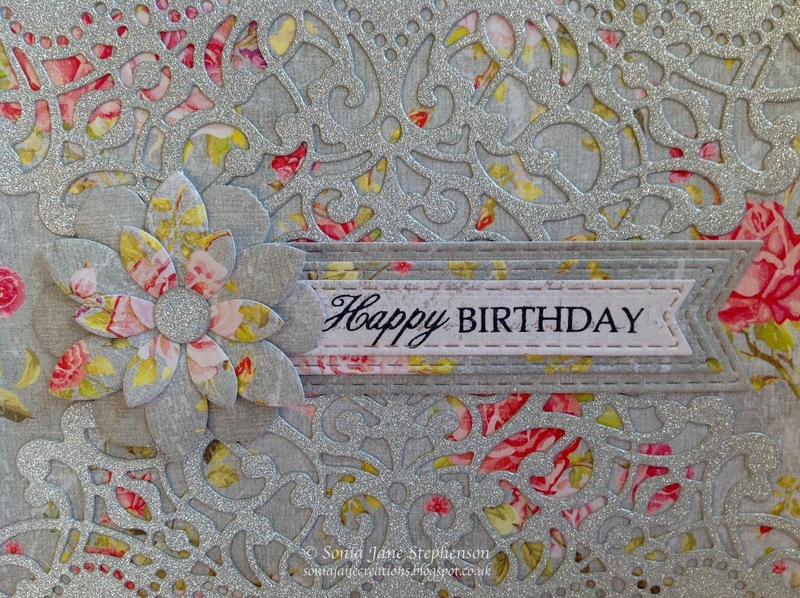 As promised I'm back to share the other card I was making using the beautiful Blissful papers. This card uses the designs from the Teal collection. The Crafter's Companion Sophia die has been cut from glitter card. 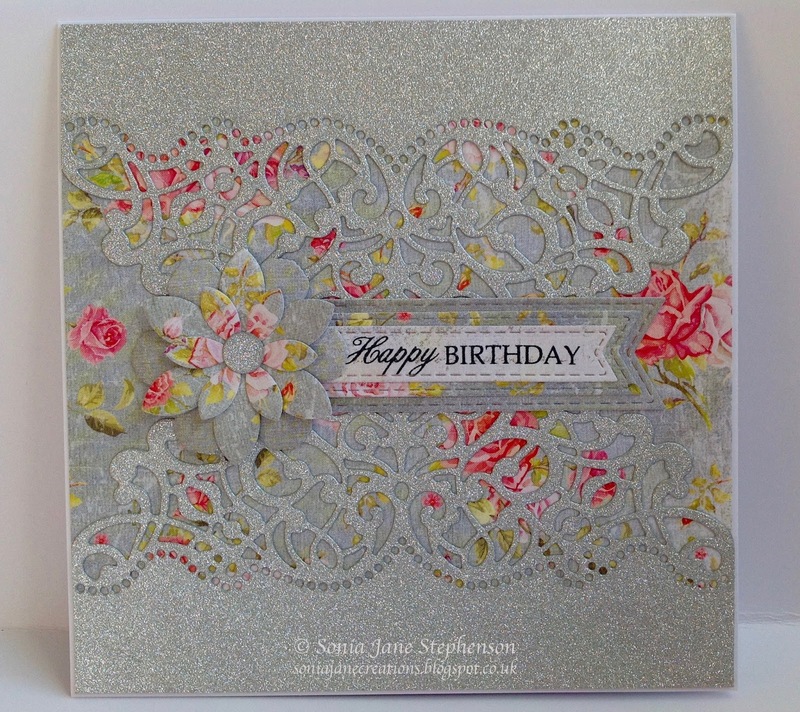 This glitter card - also from Crafter's Companion - is absolutely gorgeous. 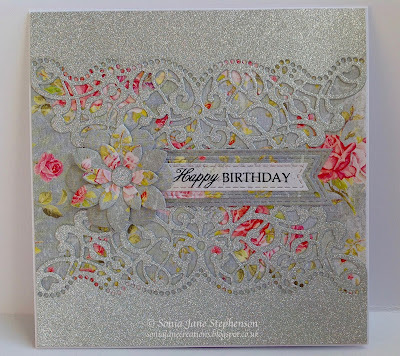 It is so smooth and there is no loss of glitter even after running it through your die cutting machine! The flower is from Crafter's Companion too and the stitched flags are from Sue Wilson. The sentiment is from LOTV. 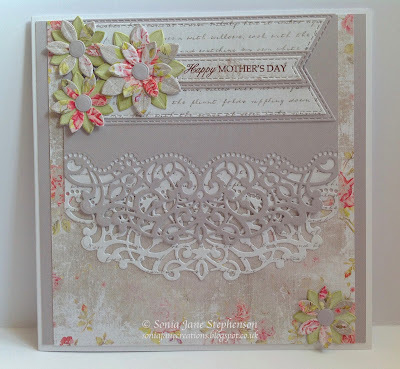 Both cards are made using designs from the Cocoa papers, and as they are so pretty they just had to be used to make Mothers Day cards. 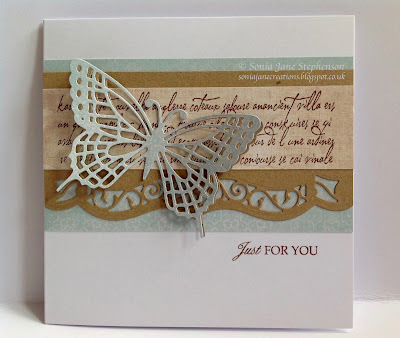 The main focal die is the 'Sophia' die from Crafter's Companion create a card range. I hope you like them. 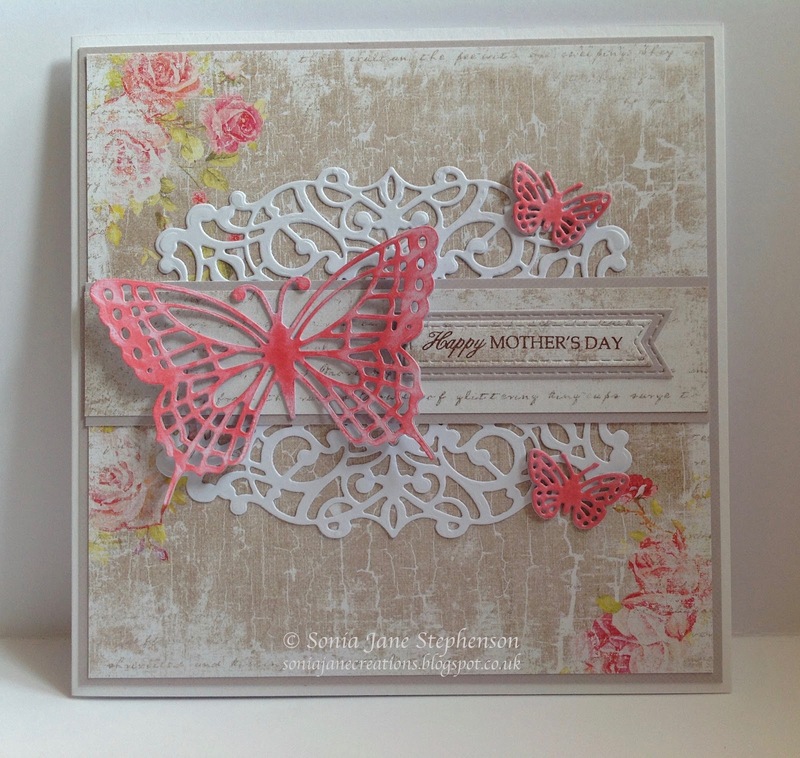 I have another card in the making, so will be back again soon to share that with you too. Thanks for stopping by. Hi. I'm back! 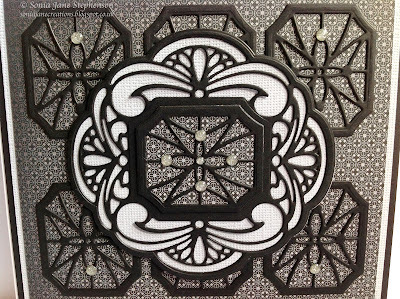 After quite a few months of my craft mojo going AWOL, I am finally getting back into crafting, albeit slowly! After being inspired (and spending more than I was expecting) at the Make It Craft Show in Farnborough last weekend, I felt the urge to get back to it! Anyway, thanks for stopping by. I will be posting again very soon. Hi. I am sorry I haven't been blogging lately - been so busy and just haven't had the time to share any of my creations! 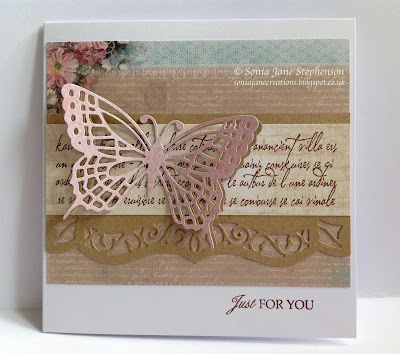 I would like to share a couple of quicks cards with you today using the beautiful butterfly die which I have (not sure who its by.) 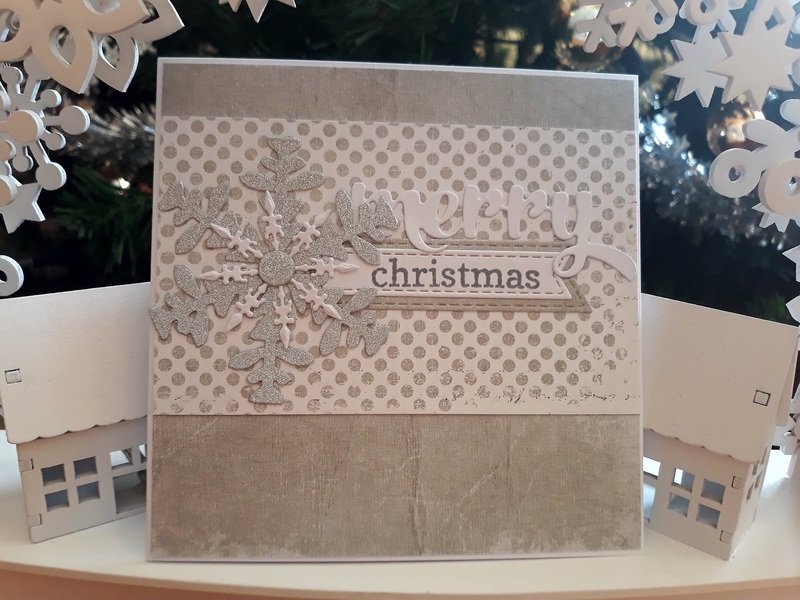 It forms the main element of my cards, layering it upon the Latin Script stamp from Inkylicious and one of the Spellbinders A2 Bracket Borders One dies. The stamped sentiment is from LOTV. 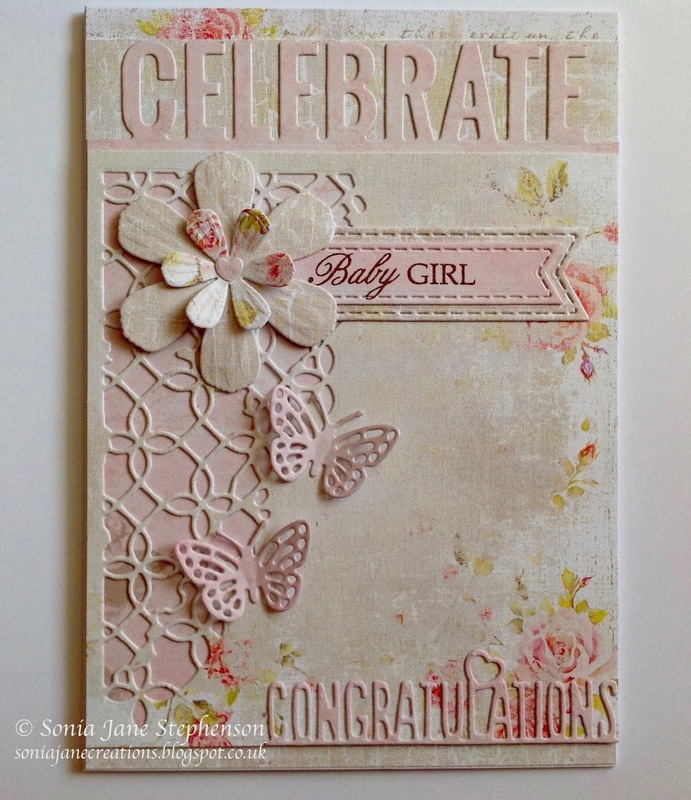 The pretty papers are from the Tres Chic collection by Studio Light. I hope you like them. Thanks for stopping by today. Cotswold Crafter blog a little while back. I decided to use the main die for my focal element on this card. I love the look of this die set when used together. 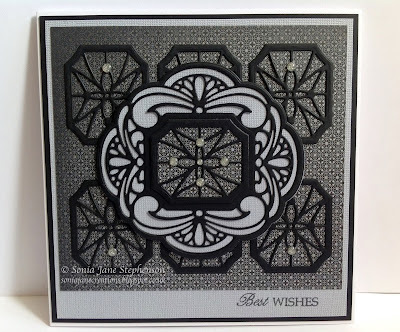 (New Zealand Collection - Hamilton die, by Sue Wilson) The sentiment is from LOTV. 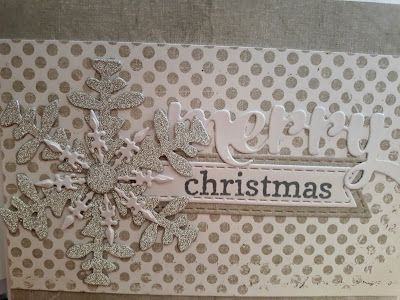 I will be back in a few days to share some more Christmas cards. Thanks for stopping by.